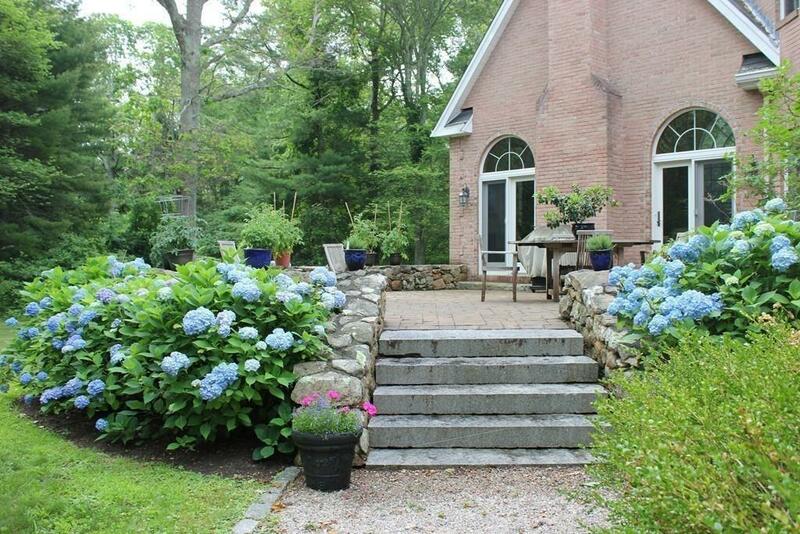 Country home in estate setting on Blue Acres Way, a private lane w 5.5+ acres. Elegant entry onto open foyer w/columned living room & granite fireplace.Impressive dining room offers teak parquet flooring, chair rail,crown molding & french doors. Gourmet kitchen w/walnut cabinetry, granite counters, island & pantry.Large eating area for entertaining family & friends w/doors onto stone terrace. Step down family room w/floor to ceiling brick fireplace. 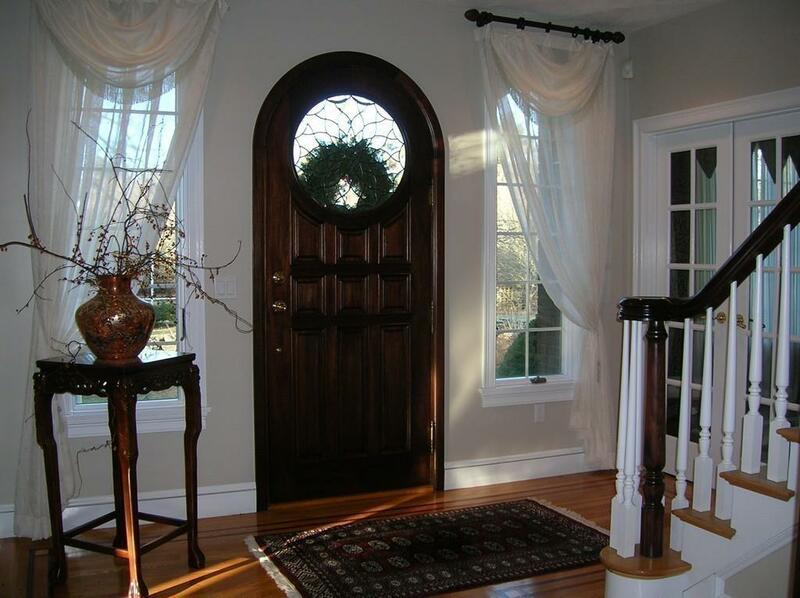 12' palladium window has a "wow" factor & doors leading to stone terrace. Large office for that CEO w/mahogany wainscoting. Master bedroom includes lovely sitting area w/walk-in closet plus 2 other closets. Loft is accessed by a separate staircase w/cathedral ceiling, & skylights, perfect for hobbyist/exercise room Additional 2+ car garages for antique cars/boats. Pergola, stonewalls, privacy & tranquility. 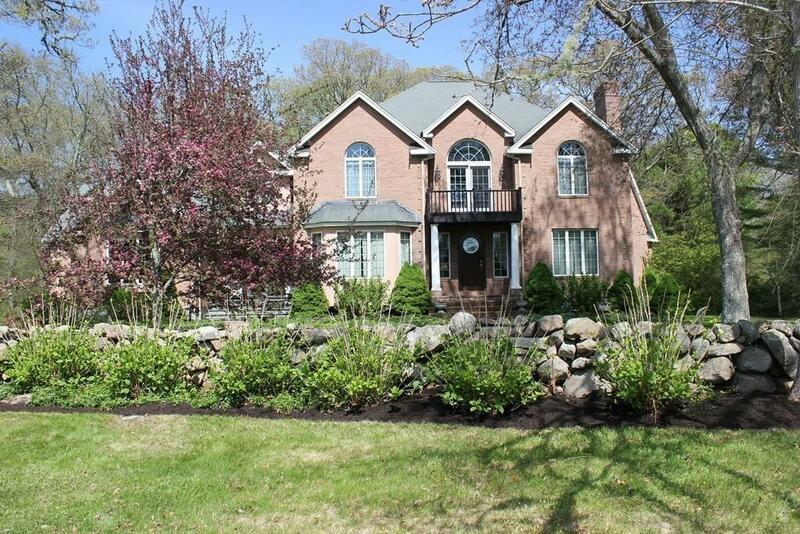 .Meander up the tree lined driveway onto this beautiful home with magnificent grounds. Option of 2 lots perfect for family compound. Listing courtesy of Maria Carvalho of Carvalho Real Estate. Lot Description Wooded Additional Land Avail. Exclusions List Available At Showing. 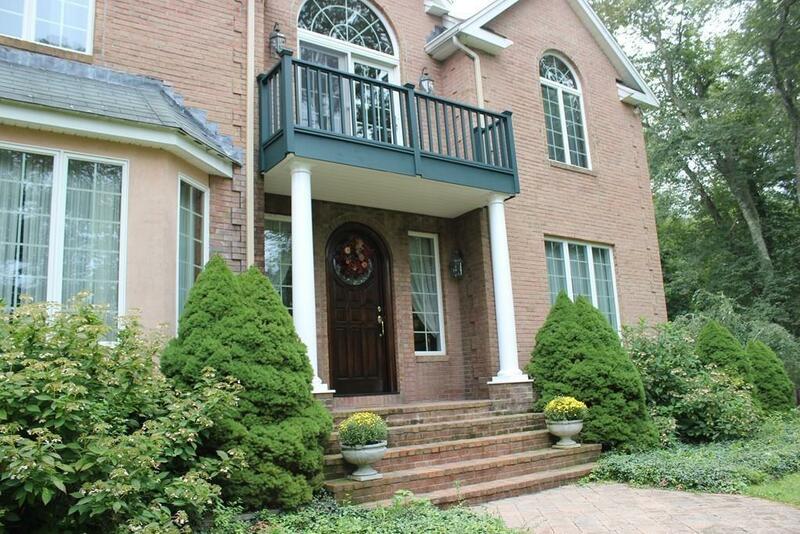 Listing provided courtesy of Maria Carvalho of Carvalho Real Estate. Amenities ShoppingTennis CourtMedical FacilityConservation AreaHighway AccessHouse Of WorshipMarinaPublic SchoolUniversity Assessments 922000.00 Disclosure No Disclosures Listing Agent is Seller (Owner/Broker) Electric Features 220 VoltsCircuit Breakers200 Amps Exclusions List Available At Showing. Lead Paint None Lender Owned No Sewer Private Sewerage Short Sale Lender App Required No Single Family Type Detached Sq Ft Source Other Tax Year 2019 Taxes 6911.63 UFFI No Utility Connections For Gas RangeFor Electric OvenFor Electric DryerWasher HookupIcemaker Connection Water Private Water Year Built Description Approximate Year Built Source Owner Year Round Yes Zoning Res.